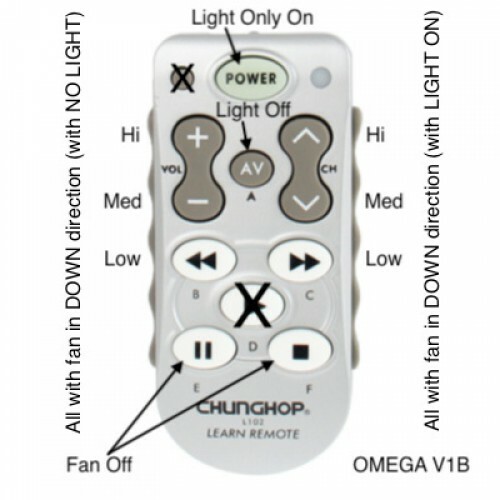 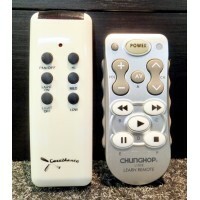 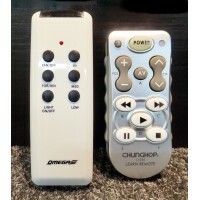 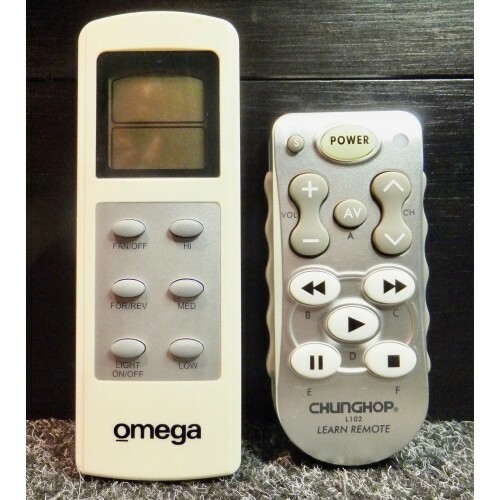 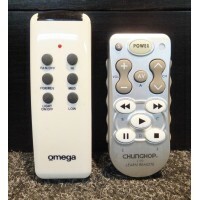 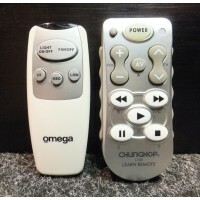 Omega Ceiling Fan Remote Control Replacement Version V1 (original pictured on the Left, our replacement pictured on the right) for Colorado, Boston, Seattle, Apollo, Madrid, New Yorker models. PLEASE ALSO NOTE: We will pay $15.00 for every one of your faulty Original Omega Remote Controls that have the LCD screen! 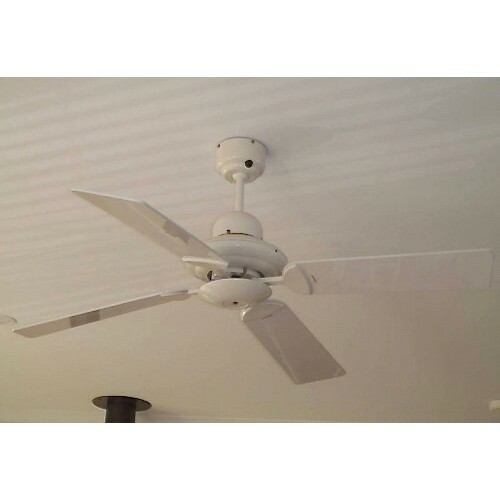 (providing they are complete and not smashed). 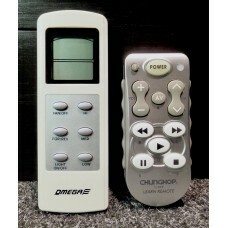 Simply send them to us at P.O. 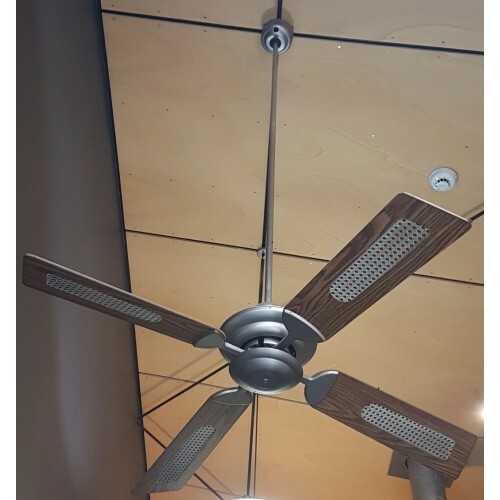 BOX 3006, Murrumbeena 3163, VIC. 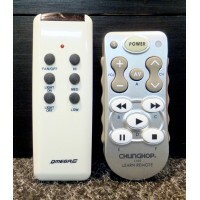 Include your Name and Phone Number and upon receiving them we will credit your Pay Pal account $15.00 per remote! 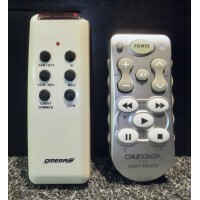 **PLEASE ALSO NOTE: THERE ARE TWO VERSIONS OF THIS V1 REMOTE (SEE BELOW) PLEASE LET US KNOW WHICH VERSION YOU WANT AT CHECKOUT, V1A or V1B, if not we will ring you to confirm which version suits you best. 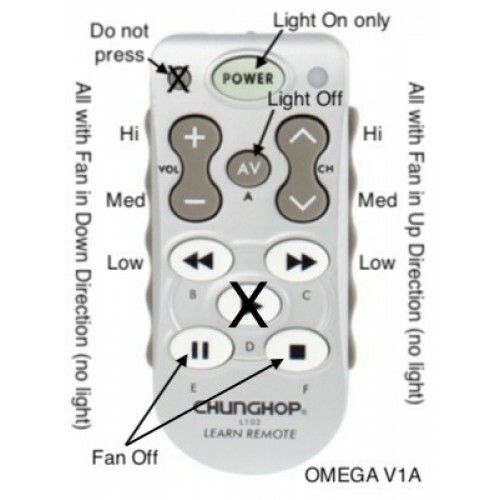 S BUTTON IS PROGRAMMING BUTTON AND SHOULD NOT BE PRESSED!